"Helen Mayer Harrison and Newton Harrison are the Inaugural Recipients of the Corlis Benefideo Award 2013 for Imaginative Cartography. It was presented at the Annual Meeting of the North American Cartographic Information Society (NACIS) on October 9, 2013 in Greenville, South Carolina." Congratulations to Helen and Newton. Their solo show at the Ronald Feldman Gallery will be opening in January - more information to come. 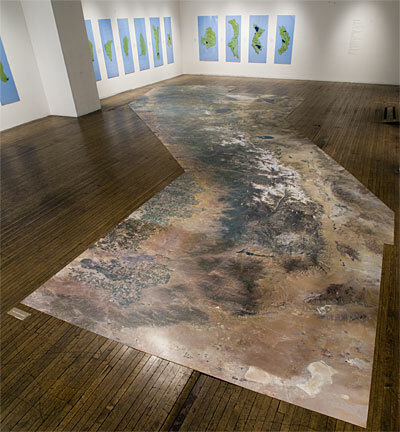 Above: Sierra Nevada, 2011, at the Ronald Feldman Gallery.